Charlotte Observer featured Award-Winning Builder's personal Home in prestigious Knox Haven community off of I-77. Exceptional Custom Details abound! 2 Bed/2 Bath Main Level: DOUBLE thick gorgeous Granite Island in large Chef's Kitchen, solid Cabinetry, Wine Bar, Master Bedroom on Main w/ Rope Lighting in Crown, Master Bathroom w/ Cultured Marble & Heated Tile Floors, Walk-in Closet w/ clever Laundry Shoot. 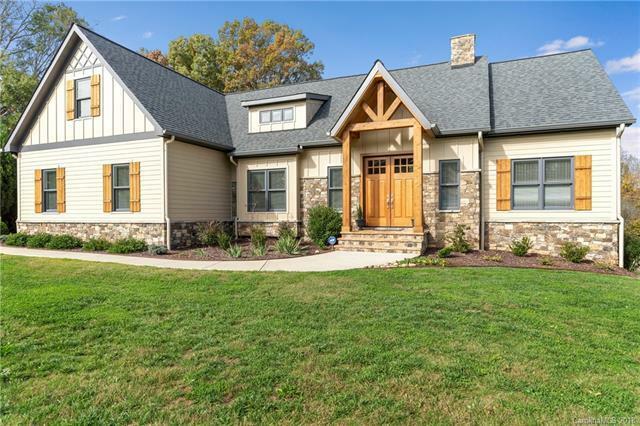 Main Living Area: 4" thick real Masonry Stone Fireplace-Gas & Wood-burning, Cedar Beams, solid Mahogany Front Doors, solid Hardwood Floors, Pre-Wired, WiFi, Screened-in Back Porch, 3-Car Garage w/ Custom Garage Shop w/ Built-ins! 2 Bed/2 Bath Basement Level: Fully Plumbed 2nd Chef's Kitchen & Island, 2nd Master Bedroom w/ handicapped-accessible Master Bathroom w/ Zero Entry Shower & Cultured Marble, 4" thick real Masonry Stone Fireplace-Gas & Wood-burning & Patio! Septic installed in front for optional POOL & GARAGE/STORAGE SHED in backyard for Boat! LKN Marina around the corner! Offered by Providence Realty Partners, Llc. Copyright 2019 Carolina Multiple Listing Services. All rights reserved.